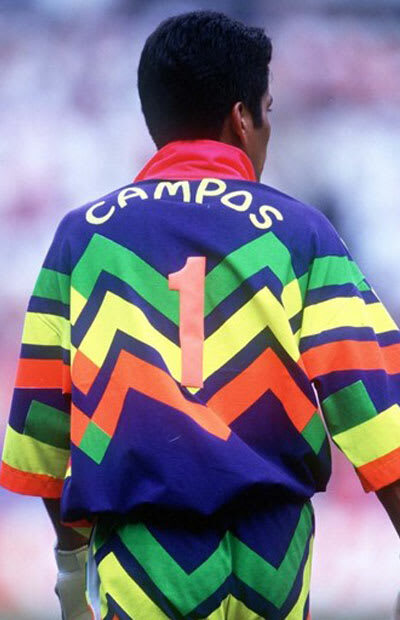 For both the '94 and '98 World Cup, Mexican national goalie, Jorge Campos, manned the area between the sticks looking like a luchador who moonlighted as a salsa instructor. It's quite customary for a goalie to wear a kit that doesn't match the rest of the squad, but Campos took it to new heights. This is what sports fashion looks like when a man who takes balls to the face gets put in charge.